I’ll be the first to admit my skin is just eurgh. Literally every food that I love shows up on my skin in the form of a spot, a rash, eczema or just dry skin, and it is an absolute pain. Believe me, I’ve tried everything under the sun but there has only ever been one option – stop eating the food. 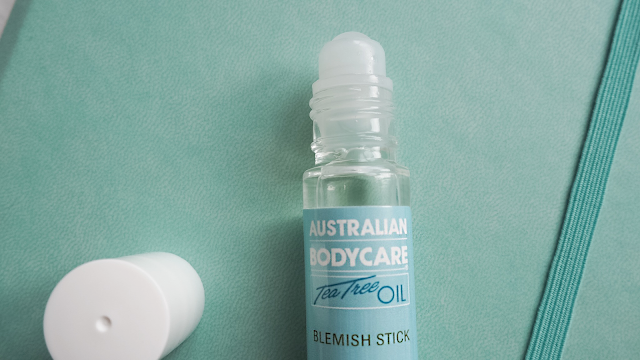 But I don’t have self-control like that so I need to find an alternative and it came in the form of a blemish stick from Australian Bodycare aka ABC. Made from an antiseptic combination of Tea Tree Oil and Witch Hazel this roller ball has literally been living by my bed for a while now. As if the roller ball wasn’t easy enough to use, you apply it straight to the blemish. The entire range of products are Tea Tree and can be used from head to toe, so you can find anything you need on the ABC website. There’s literally something to suit everyone’s needs, and because Tea Tree Oil It is well known for its natural antibacterial, antiseptic and pretty much anti-everything-bad properties you know it’s only going to be good results. To be honest, I think I should really invest in some more because, as much as I want to keep one in my bag, I change my bags far too often and I’m always forgetting to move my lipstick. I can only imagine how quickly I’ll lose this saviour in the bottom of one of my big bags, where it would be lost forever like a lot of things. But there is nothing worse than a last minute breakout. 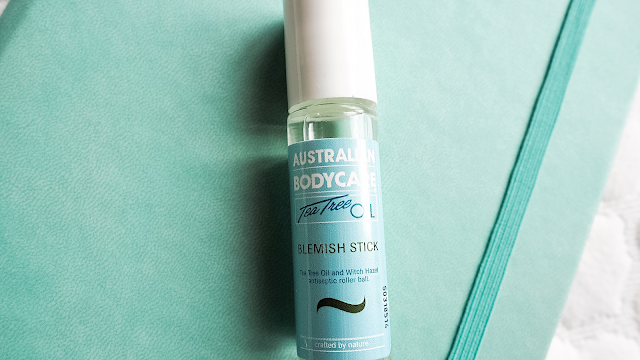 The blemish stick not only reduces redness but it also helps to fight the bacteria causing it. Now I don’t use the word need very often, but I definitely need to invest in more of these. EXHIBITION | What Is Luxury? "Leighton Denny – Little Thief"
"Christmas in July part two – Not on the High Street, M&S and John Lewis"